After my long break from the pattern, Hannah looks good to go! 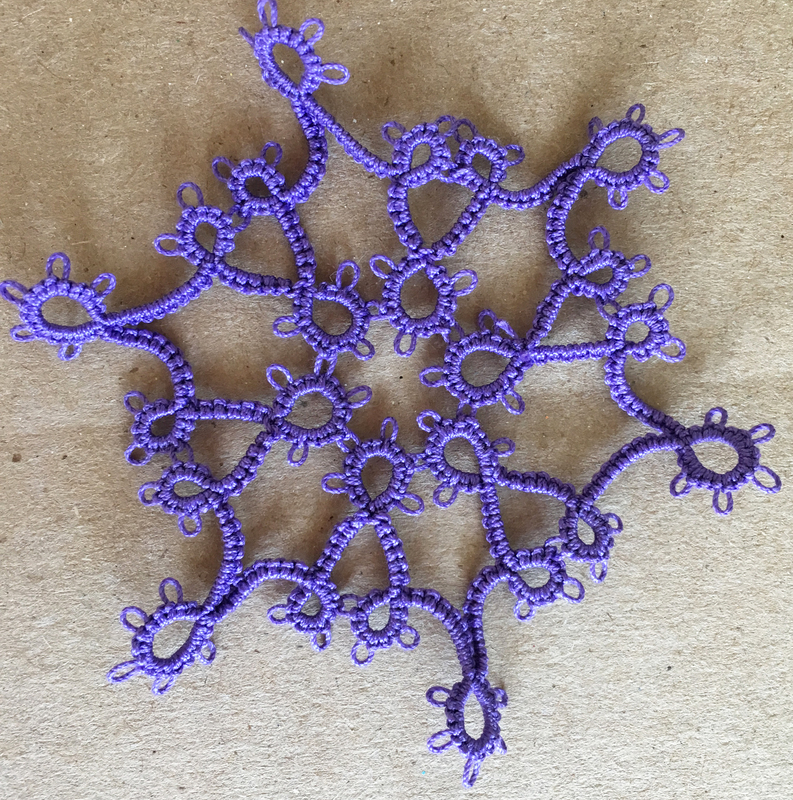 I’ve done it in purple… maybe not the best colour for a snowflake, but good for the experimentation phase! 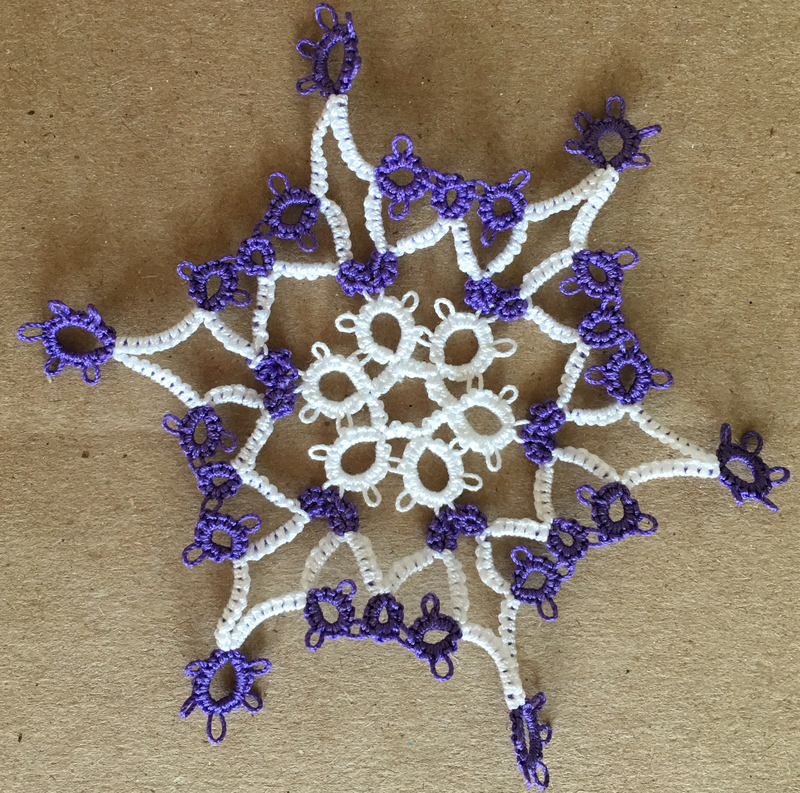 After a long break, the Helga pattern is done and the experiment with white and purple thread looks good! Well, the colours are quite extreme… maybe not purple. After a long time without working on the Heathers patterns I have come back to them! And the Harriet pattern is disappointing so far. I tried adding in some rings inside the pattern, and they just look messy. 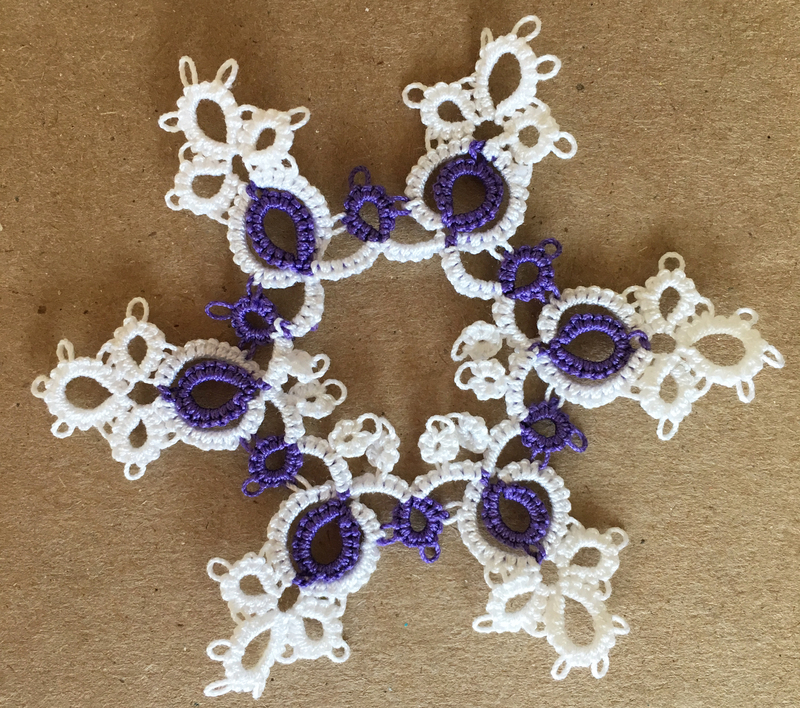 I’ve also experimented with the “donuts” purple inside white, rather than the alternating colours as I did with the first experiment. As you can see with the larger thread… the base of each one looks awkward, and the size of the joins is very variable. This is likely because I am using rings inside the donuts, where most donuts are done with chains. I will need to rethink this pattern.